Central Tibetan Administration (CTA) President Lobsang Sangay said Tibetans expect India and other Asian nations to find an early solution to the Tibetan issue. He asserted on the independence of Tibet saying, it was in the interest of both India and China as it provided a buffer between the two big nations that have mutual mistrust and suspicion. Central Tibetan Administration (CTA) President Lobsang Sangay on Thursday said Tibetans expect India and other Asian nations to find an early solution to the Tibetan issue. Sangay underlined that an independent or autonomous Tibet was in the interest of both India and China as it provided a buffer between the two big nations that have mutual “mistrust and suspicion” due to their long border.”We are thankful for all the support we got here in India. Perhaps we cannot ask for more as guests but we can hope for more, such as India putting Tibet issue on the table and discussing it. Indian security also depends on Tibet. 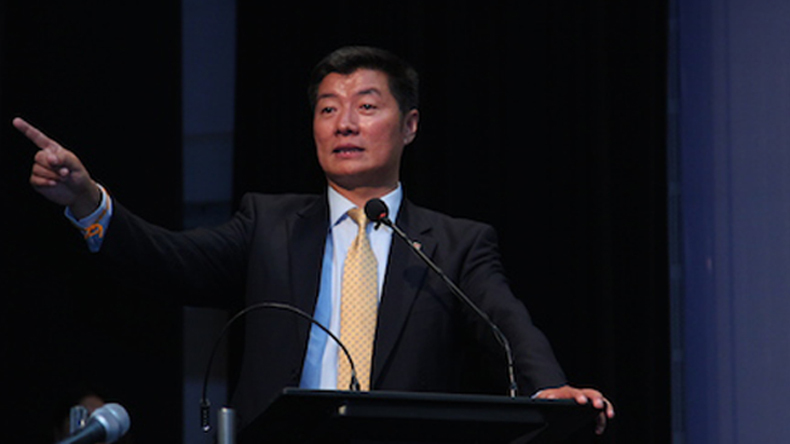 When Tibet was independent, there were no incursions,” Sangay said. He said ‘Doklam’ was a Tibetan language word meaning difficult mountain and it showed that the region was part of Tibet, not China.”When Tibet was occupied by China in 1959, the then Indian leadership including Vallabhbhai Patel could foresee that this will not stop here and they (Chinese) will come for more.”Chinese incursions into India have doubled since 2011 and today we saw in the news that they are making permanent settlements in Doklam,” he said. He said that with Brahmaputra and a number of rivers flowing from Tibet, the region was important for India and other Asian countries because it was the “water tower of Asia”.”The Chinese are facing water scarcity. It’s worse for India, for Pakistan and Bangladesh. At least for the sake of water security of 1.4 billion people of Asia, all Asian countries should come together and seek resolution of Tibet issue,” he said.Sangay officially launched the ‘Thank you India’ campaign as 2018 marks 60 years of the Dalai Lama’s self-imposed exile here. The Dalai Lama crossed over to India on March 31, 1959 following the Chinese occupation of Tibet.